Australian Doctors for Africa was founded in November 2005 by Orthopaedic Surgeon Mr Graham Forward, who remains a Director of ADFA and continues in his role as CEO. Mr Graham Forward was contacted by the people of Mogadishu after the Tsunami in 2005 with a plea for help. From here Mr Forward saw the need for surgical and medical aid for the poor people in the eastern region of Africa and Madagascar. This was his inspiration for him to set up the charitable organisation of Australian Doctors for Africa. 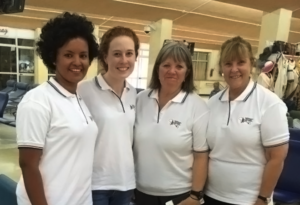 ADFA has a Board of Management of 8 volunteers who carry out the management for all aspects of ADFA. In March 2014 ADFA became the first NGO in Western Australian to be accredited by DFAT. 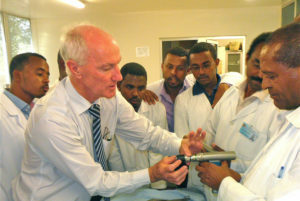 Australian Doctors for Africa is in its 11th year and has sent 85 voluntary medical teams to Ethiopia, Madagascar, Comoros and Hargeisa in Somaliland. ADFA’s three main specialties are Orthopaedics and Talipes, Gastroenterology and Urology. Work has also been carried out in Paediatrics and Obstetrics. Teaching programs are also a large part of ADFA’s work. ADFA voluntary medical teams consult, operate and teach as they work with the local doctors and nurses in all our partner countries. ADFA has a logistics program sending sea containers full of donated medical supplies and machines with 41 containers having been sent to date. This is a major program and supports the medical teams by providing medical aid to use during the medical missions. All contents from the containers are donated to our partnering countries. ADFA has carried out work in infrastructure by building operating theatres and ablutions blocks, water tanks, renovating operating theatres and building an x-ray unit. Donated medical equipment is used to fit out these new buildings. Australian Doctors for Africa continues to grow. 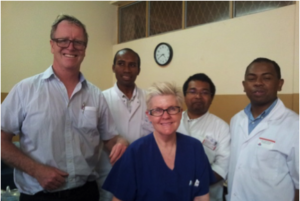 A recent Gastroenterology conference organised and held in Madagascar was a great success involving the local doctors who have undergone a 5 year gastroenterology program by ADFA voluntary staff. Our patron Professor Barry Marshall Nobel Laureate also attended and spoke at the meeting. ADFA has a team of approximately 250 doctors and nurses on their register who generously give their time and expertise.